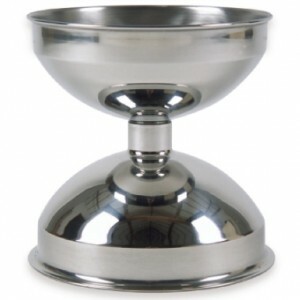 An indispensable tool for every wine tasting, the wine spittoon can be found in a variety of shapes and sizes. From the unsightly to the beautiful, wine tasting spittoons have evolved over the years and here at Waiter’s Friend we’ve put together an unrivalled range. From disposable floor standing spittoons to top of the range stainless steel spittoons, we’ve a style and a price to suit every budget. 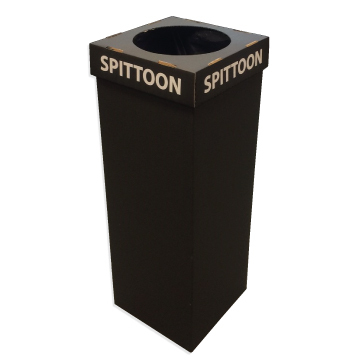 Made from sturdy black cardboard, the disposable floor standing spittoon is a great solution for almost every occasion, from one-off small wine tastings, to weekly events. Easy to assemble and complete with heavy-duty black liner, the disposable wine spittoon looks smart without the price tag. The lid comes printed with ‘SPITTOON’ on every side, so there is no mistaking its purpose. Absorbent pillow also available at extra cost. Budget-beating spittoon for the table-top. The 4 Litre Wine Spittoon can comfortably be shared among a group of people. Neat handles makes this an easy to carry solution that is simple to wash and store. The plastic spittoon is great for reuse and comes with a lid to hide the unsightly. Print with your logo from 180pcs. A lovely touch to wine tastings, give your guests a spittoon each to spit away in. 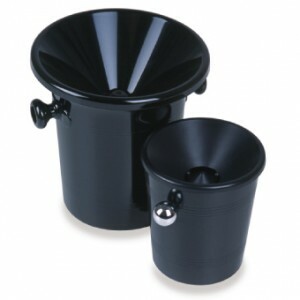 With carry handle and lid, the 1.5 Litre Mini Wine Spittoon in black plastic adds theatre to a wine tasting. Washable and stackable, the personal spittoon can be used again and again. Personalise the mini spittoon with your logo from 180pcs. Made from top quality Italian stainless steel, the Premium Wine Spittoon adds a touch of luxury to the tasting room. Elegant, highly polished finish. Lid separates from base so spittoon can be popped into the dishwasher to clean. Available in 2 and 4 Litre size. A top-tasters tool, the stylish Floor Standing Wine Tasting Spittoon in high quality stainless steel is the definitive spittoon. 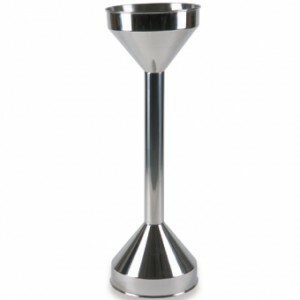 With large capacity, we recommend the Stainless Steel Floor Standing Spittoon for busy tastings. Lid separates from the base making the spittoon easy to clean and store. For further information and prices on our Spittoon range please email sales@waitersfriend.com.